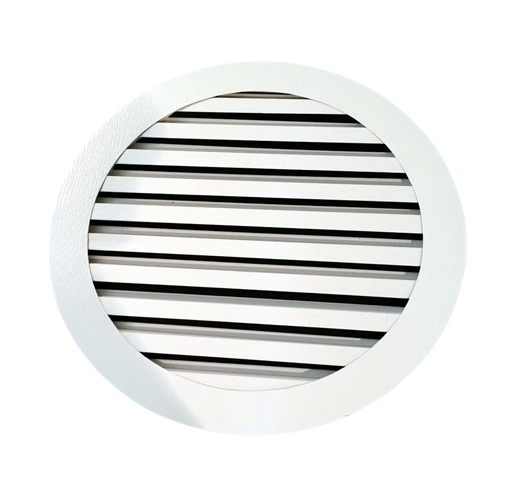 These small round gable vents are aluminum but you may try to compare them to a vinyl vent. Aluminum does cost more but for a hard to reach round gable vent, you might not want to replace it again in 2 years. That is the average lifetime of a vinyl or plastic gable vent. Only 2 years. These aluminum gable vents will last a lifetime. The trim was custom on this house. I was not going to try and take it down and put it back up. Instead I cut the metal vent out with a dremel and inserted the new one. Just a little caulk and the problem solved. I order about once a month but I am not writing a review every month. This will be my review. I get great customer service, the product I need when I need, and it always looks good. So my review is 5ÿstars. The end. I chose my louver vents and go to checkout. Other sites always stick me with a high shipping charge. But when I clicked check out it said shipping was reasonable. Wow. That just saved me a bunch. Perfect packaging. They arrived very safe and sound. Oh, and they look great. Remodeling homes means lots o products and lots o suppliers. I get tired of cursin people out just to get what I need. At least there is 1 supplier I don't need to argue with. I need a vent I getÿa vent no huff n puff.